The government estimates that by 2023 one fifth of all outpatient healthcare visits will be delivered through some sort of telemedicine service.That’s why we wrote this book, so patients like you can completely understand how telemedicine works and how you can use it for your good health while keeping you and your family safe. Homecare worker, wife, mother of two. 1. 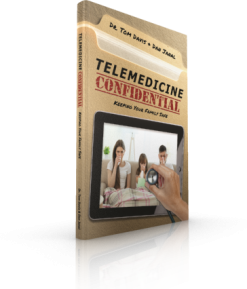 Order one copy of the book and also receive the audio recording bonus, which includes information about getting the most out of your tele-medicine encounter and an exclusive interview with Dr. Tom that’s not in the book. 2. Order 10 copies of the book and receive the bonus specified above as well as access to one of our Keeping Your Family Safe monthly online interactive sessions. 3. Order 100 copies of the book and receive the bonus specified above as well as access to all six of our Keeping Your Family Safe monthly online interactive sessions. 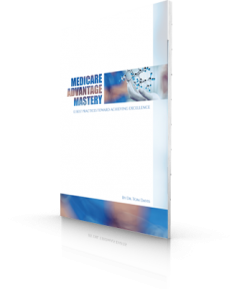 Get multiple copies to share with your friends and colleagues or provide as “the ultimate resource” for your patients. In 1994, Dr. Tom Davis MD FAAFP tucked his board certification under his arm and set up his practice in a picturesque little river town on the Pickney Bend of the lower Missouri River. Twenty-four years, a thousand babies, two-hundred thousand patient visits and uncounted midnight phone calls later he has emerged as a national leader in helping patients get great healthcare. Author, speaker, mentor, he regularly engages with his community of seekers across social media, answering their questions and solving their problems about the best ways to get the healthcare they need, so all can be well. D an Janal works with leaders who want to elevate their reputations and stand above their competitors. As a book coach, developmental editor and ghostwriter, he shapes stories and strategies that can transform a career or a business. As a result of his work, clients say they have more focus, more credibility, more visibility and more impact. He has written more than a dozen books.